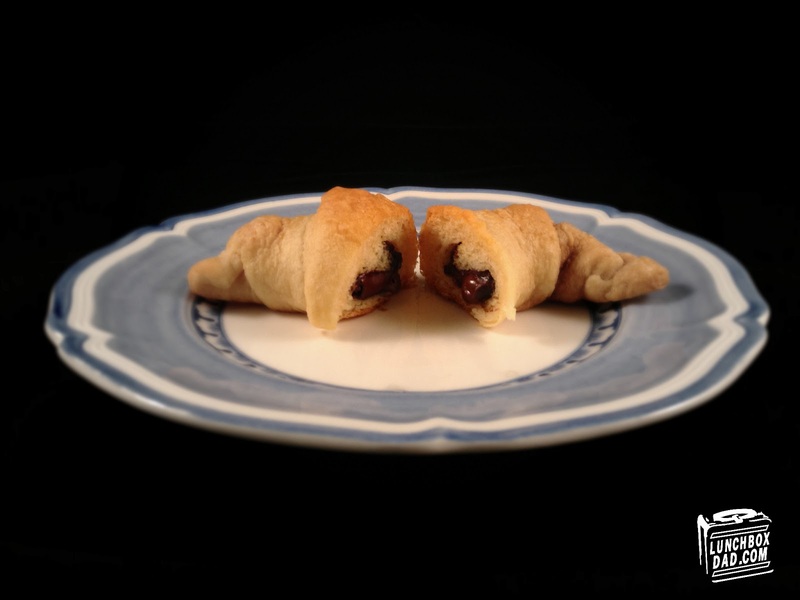 I was craving some chocolate and I thought, why not make some chocolate croissants? One or two every once in awhile isn't bad so I made some for breakfast. Instead of going to the local bakery or coffee shop you can make this very easily right at home with only two ingredients! --Take crescent rolls out of container. They will tear into triangle pieces. --Place 5-7 chocolate chips on the wide side of each triangle. --Roll according to directions on tube. Arrange rolls on baking sheet. --Bake according to directions on tube for 11-13 minutes or until golden brown. and heat up when ready to serve.